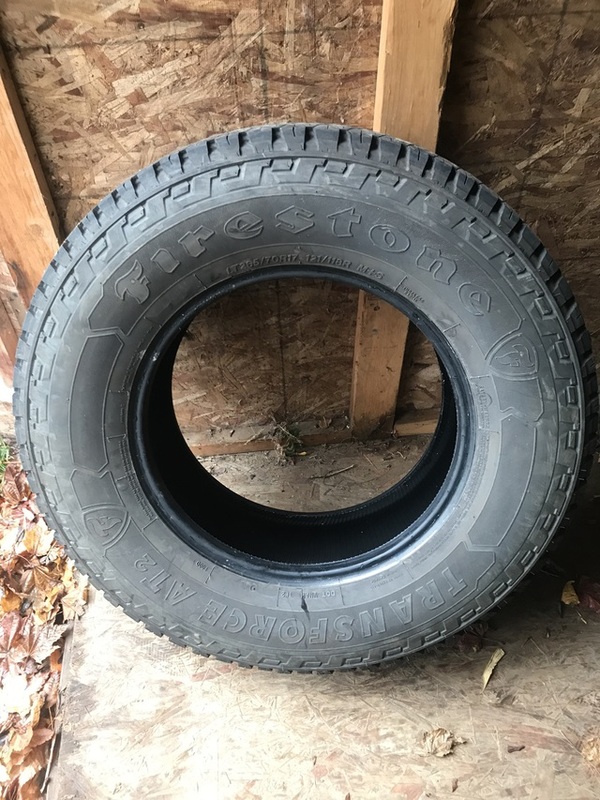 1 Firestone Transforce AT2 M+S LT265/70/R17 All season. Done 20,000km but has plenty of life left. Would make a good spare.